The Los Angeles Lakers were cleared of any wrongdoing by the NBA following the potential contact between president Magic Johnson and Philadelphia 76ers star Ben Simmons. An investigation was launched after Johnson revealed Simmons was interested in exchanging "big guard" secrets with the Lakers great prior to Philadelphia's blow-out win against Los Angeles on Sunday. On Tuesday, the NBA released a statement clearing Johnson and the Lakers of any potential tampering. "We have concluded that Magic Johnson’s statements regarding Ben Simmons do not constitute a tampering violation," the statement read. "The Philadelphia 76ers initiated the contact with the Los Angeles Lakers by requesting a meeting between Johnson and Simmons. "Both organisations ultimately concluded that such a meeting did not make sense at this time but in that context, Johnson's response to a media inquiry regarding Simmons does not run afoul of league rules." 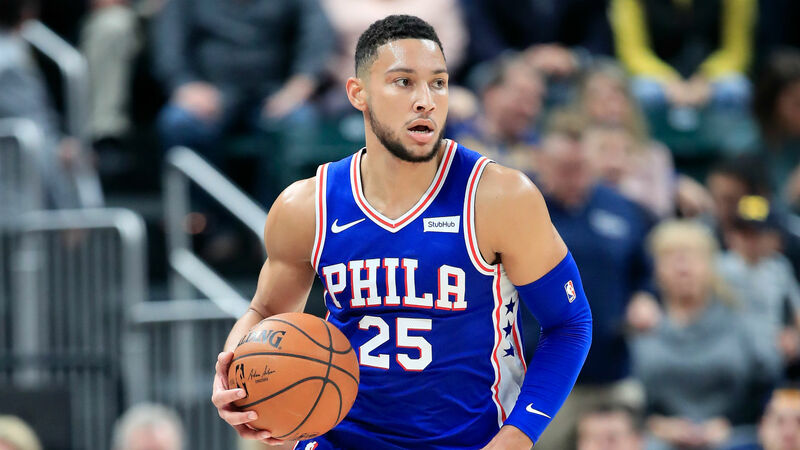 Sixers general manager Elton Brand apologised to Johnson for insinuating in a radio interview that Johnson had tried to talk to Philadelphia guard Simmons unprompted. "[Lakers GM] Rob Pelinka called me and said that Ben wanted to talk to Hall of Famers after the season. Magic was on the list. He asked for authorisation ... I said no," Brand said on Philadelphia's 97.5 The Fanatic. The Lakers released a statement after Brand's comments, clarifying Los Angeles' request for Johnson to speak to Simmons. "To clarify, last November the 76ers sent an email to the Lakers asking if Ben Simmons would be able to speak with Magic Johnson about his Hall of Fame playing career," the Lakers statement read. "After receiving the email request from the 76ers, Lakers general manager Rob Pelinka contacted 76ers general manager Elton Brand and informed him that Magic could only do so if the 76ers gave him pre-written approval. That was the end of the matter." Brand says he apologised to Johnson on Monday for the comments made in the radio interview. Brand said he also took the time to smooth things over with Pelinka. "No issue," Brand told ESPN. "I have a great relationship with Ben and [his agent] Rich [Paul], and we expect him to be a Sixer for a long time. He has taken interest in chatting with some of the game's all-time greats and we're supportive. "I had brief dialogue with Rob Pelinka, who I've known for a long time, but nothing is planned. Our collective focus is on making a postseason push. Again, we're not sweating this — end of story."